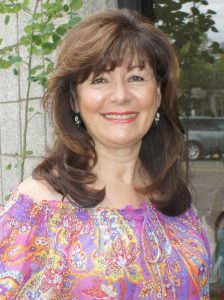 With more than 40 years in the beauty industry, Rita has become a mentor to other salon owners and has her very own line of beauty products. “When just 14 I started working with my Dad, Rocco Bellino, in his salon; 40 years later I am still walking into the salon every morning, breathing in the aromas of many potions we create to be used in our clients’ transformation to peak beauty and healthful well being. Since my girlhood, the industry has changed drastically, and yet, in some ways, remains the same; women still wish to be beautiful and men want to be handsome. We still give toddlers their first haircut, send them off to the first day of school, polish them for prom and graduation, style them for their wedding, and send them to the delivery room looking beautiful where the cycle begins again. . . While working with my Dad as my mentor and trainer I participated and won many National and International Hair Competitions in the Chicago area and a round the country. This led to many years performing style and design work and educating hair stylists over the world, including working for numerous hair product manufacturers. The opportunity to travel, share my skills, and work with colleagues has expanding my knowledge of the industry and been an invaluable experience. Apprenticed for two Years with my Dad while in High School and was President of my class for two years. ( Rocco Bellino and Mike Stramaglio , both WW2 veterans and became stylists after the army) and passed my State Board in June of 1966. Won my first competition in Chicago 3 months after I graduated from High School. Won 1st Place in NYC at the International Beauty Show in 1967. I was 19. There were 1000 people in the room. Continued to participate and win competitions ( about 10) in the US until 1976 where I won 1st place for the Total Fashion Award in Chicago. Judging was on Hair, Make-up, and Fashion. Owned my first salon at the age of 21 in the Chicago Area. Was presenting my award- winning Models for the Chicago Hair Association in 1968. Worked with International Guest Artists at the Pivot Point International School Advanced Programs in 1976. Moved to Norway 1978 and worked with Erik Lobben, working on Clients,Training Apprentices, doing Fashion Shows in Night Clubs, Presentations for Zotos International in Norway, Sweden, Poland and a three week tour in Japan. Moved to Denver in 1981, opened our first salon in 1982. Fashion Shows in Night Clubs and for Charity events. 1986 brought Rita’s Underground Success. Many Hair Shows,Editorials, Fashion and Hair Wars at night clubs. Environmental Awards from Horst and Aveda. Moved to 2nd and Fillmore, Where we started Rita B Salon and opened the first Aveda concept salon in Denver. Both of my daughters were working in the business by then. 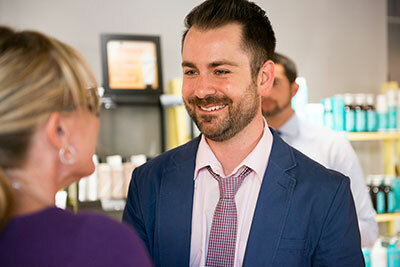 During the “Summit of 8” we hosted an Aveda Salon to service the International Media. 2000 we opened a second location in Highlands Ranch with My Son Scott, Daughters Julie and Marietta and Chad,my son -in law joined us after a few years. 2003 we opened Rita B Downtown with Julie, my daughter. 2004 we started the first Occupational Beauty School in Colorado. 2006 I moved to Aspen and opened Queen B Salon , many editorials for Aspen Magazine ,Aspen Sojourner, Fashion Shows, Voted Best Wedding Services, Best Aspen Salon, and Charity events. 2018 will open Rita B Institute next to Rita B Salon at 975 Lincoln in Denver, owned and operated by Scott Lobben, My Son.